1 What is Pain ? 2 What Are Pain Medications ? 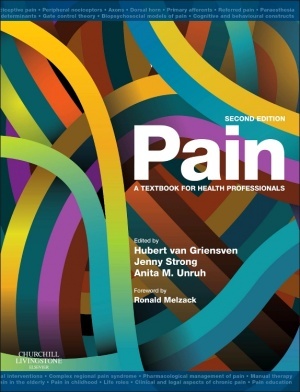 A definition of pain, according to the subcommittee on taxonomy of the International Association for the Study of Pain and adapted in 1979, is an unpleasant sensory and emotional experience associated with actual or potential tissue damage, or described in terms of such damage. It is usually subjective. What Are Pain Medications ? A pain medication is defined broadly as any medication that relieves pain. Many different pain medicines exist and each one has pros and cons. Certain pains respond better to some medicines than others. People also have a slightly different response to a pain reliever. • Over-the-counter medicines. Good for mild to moderate pain, commonly prescribed for arthritis and musculoskeletal pain– nonsteroidal anti-inflammatory drugs (NSAIDS), paracetamol, codeine. A 2019 update of pain medications found that new topical NSAIDs provide localized pain relief and are of benefit for pain relief with minimal systemic effects. Diclofenac sodium (Voltarin) gel- pain relief in hands, elbows and knees if used 4 times a day. Physiotherapists can apply this during a therapy session with the added bonus for the client that little systemic uptake occurs reducing or eliminating the adverse GI, cardiovascular, and renovascular effects of the oral compounds. Diclofenac sodium (Pennsaid) Topical solution- applied 4 times daily is an effective pain relief for knee OA. Diclofenac epolamine (Flector) patch- good for minor aches and sprains. Showed an increased use of opioids and acetaminophen which moderately correlated (0.59) to an increase in scheduled prescription rates. 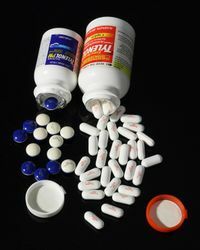 Remember pain medication is only one part of pain management. Complete pain management needs a three pronged approach. Opiods and Antidepressants, both slow reactions, cause sleepiness, and increase falls risks. See the good informative links below for further information regarding physiotherapy and pain management. ↑ Merskey, H., 1991. The definition of pain. European psychiatry.